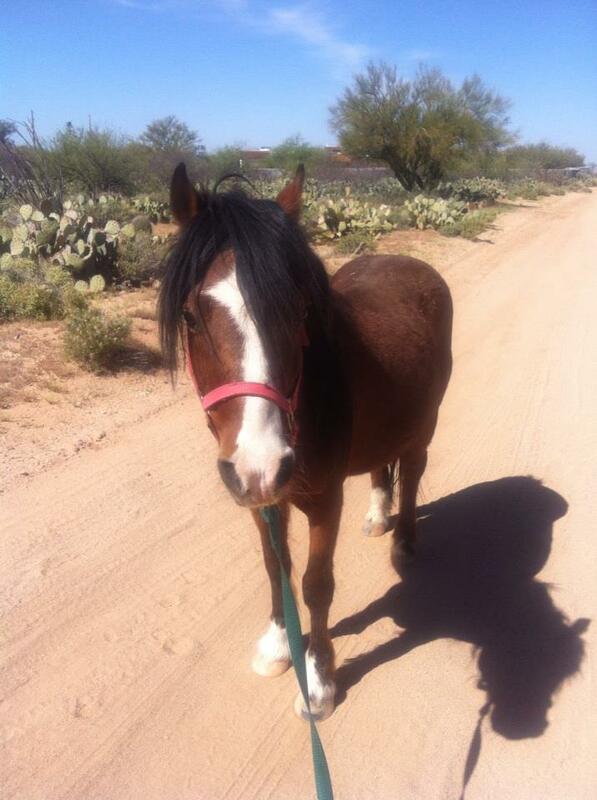 We have a new pony! 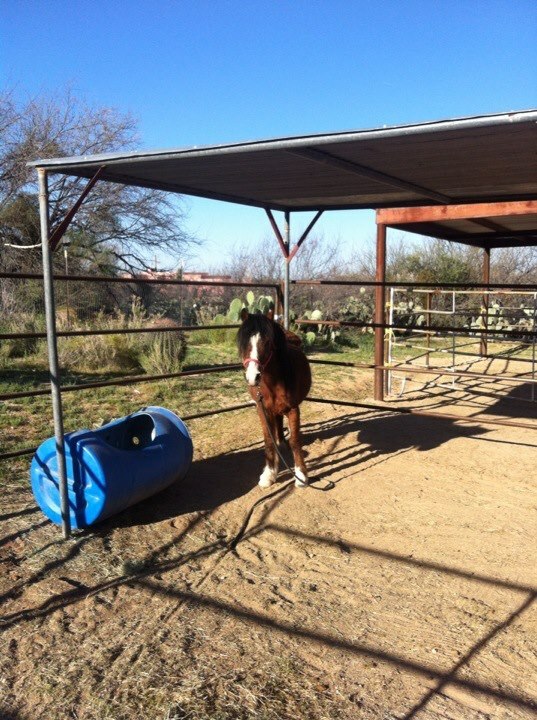 It’s a long story how I found him, but this pony needed a new home. I didn’t know how badly, until he got here. His hooves have possibly never been trimmed (our horses get their hooves trimmed every 2 months). Underweight, although not drastic. 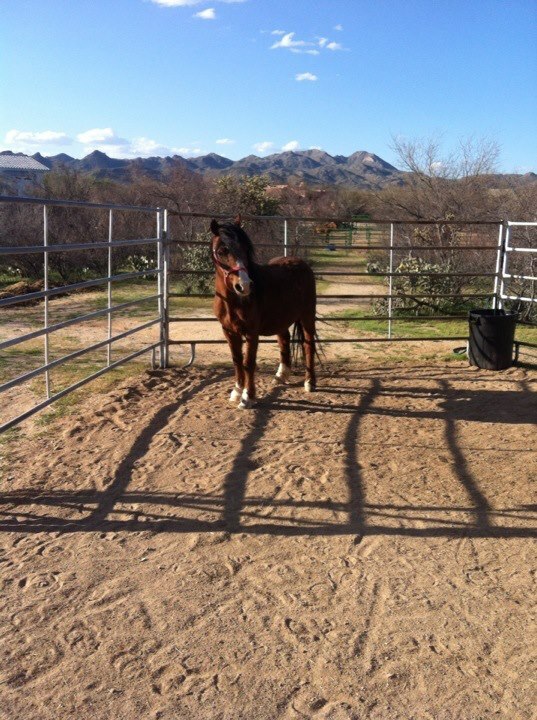 Still a stallion (never neutered). Shedding in weird patches.But the biggest thing wrong: Terrified. Scared to death. Literally shakes all over. Runs away. Cannot catch him. Abused. This is Winslow, day one. So, got his hooves trimmed. My blacksmith was so kind and patient. Spent a week working with him everyday, several times a day. Very hard to catch him. Usually takes two people – have to corner him. Left his lead line on him, so when you get close can either grab or stand on the lead line. Once caught, his terror is blatant. This is Winslow, no longer a stallion. Very wary of me. Now he must be exercised twice a day, to help his incision heal. At first I thought, how will this ever work? But, bit by bit, he got a tiny bit easier to catch. And lead. It was a great day, when he would trust me enough to put his head down and eat grass (instead of watching me constantly in fear). The bonding and trust between us has grown. I bring sweet feed with me to his stall, and he will usually come to me, although not always – sometimes it is as if his fear was never even slightly abated. I exercise him every day. We go on walks. I’m teaching him that it is ok for him to be brushed, and washed with a hose. 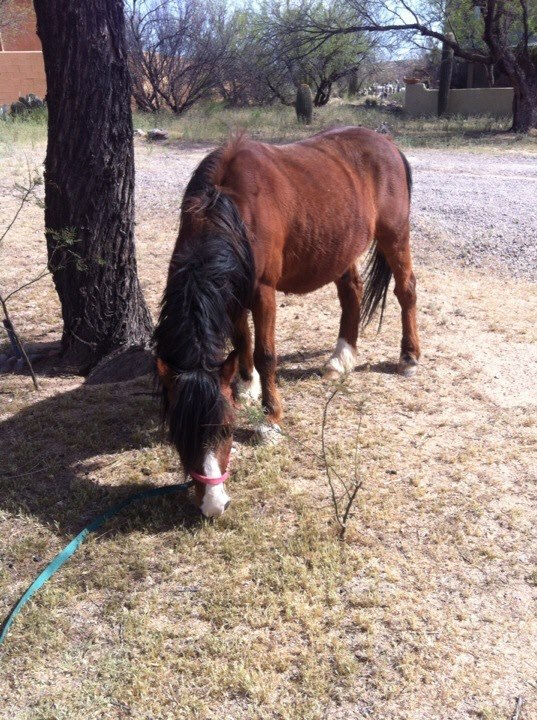 I now have him in a stall next to my “big” horses, and Belle (my mustang mare) has fallen in love with Winslow. He’s still scared, but not as bad., usually. He is so adorable, and so sweet. Not an aggressive bone in his little body; just wants love. I try to imagine a day when his fear is gone. My love of horses began for me at age 2. 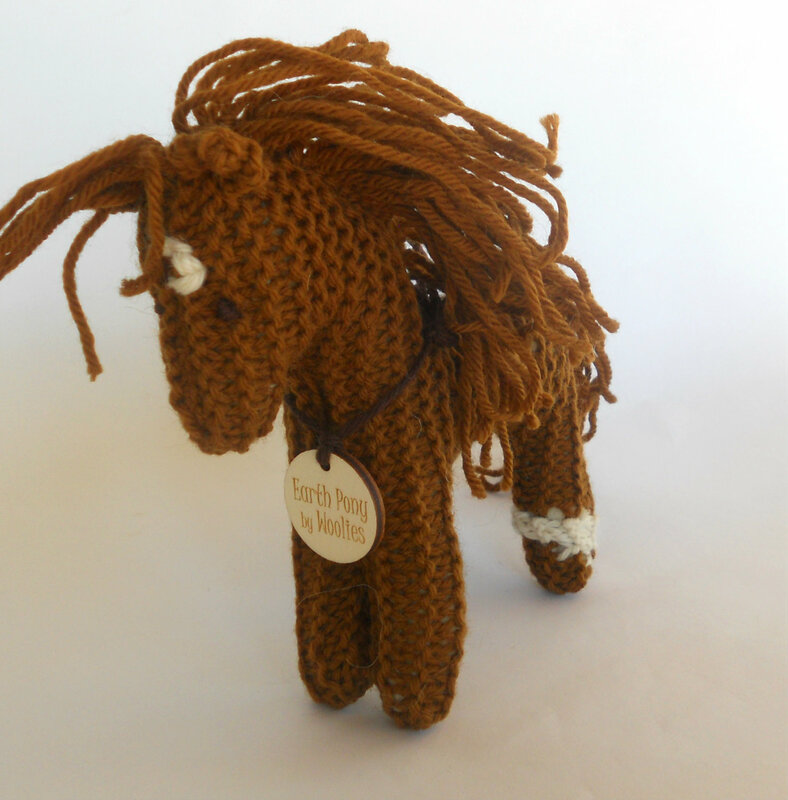 It gives me such pleasure to knit little horses. I call them Earth Ponies, and you can request them in practically any color of the rainbow. Earth Ponies at Woolies on Etsy! Thank you for reading about me and Winslow! I recently moved to my dream location. Close to a large Steiner school for my kids and in the middle of a village with many of my favorite teachers, authors and role models in the Steiner world living all around me. This move was huge for my family and continues to be a real leap of faith. A few years prior my husband mentioned a pearl of wisdom someone had shared with him about dreams. They said if you wanted to learn something, create a group for it to be taught. Sort of a “build it and they will come” mantra. Well once we moved here that is what I did. Teaming up with a local handcraft teacher I have started a winter knitting group, children welcome. The women who have come have all been such bright souls and sharing such a soothing meditation such as knitting with new friends has already proven to be a highlight of my week. It is so easy to get stuck in the solitude of our passions. 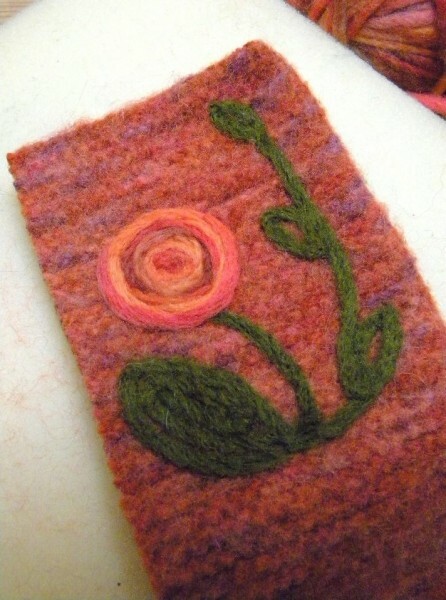 Do you have a way that you bring community to your craft life? 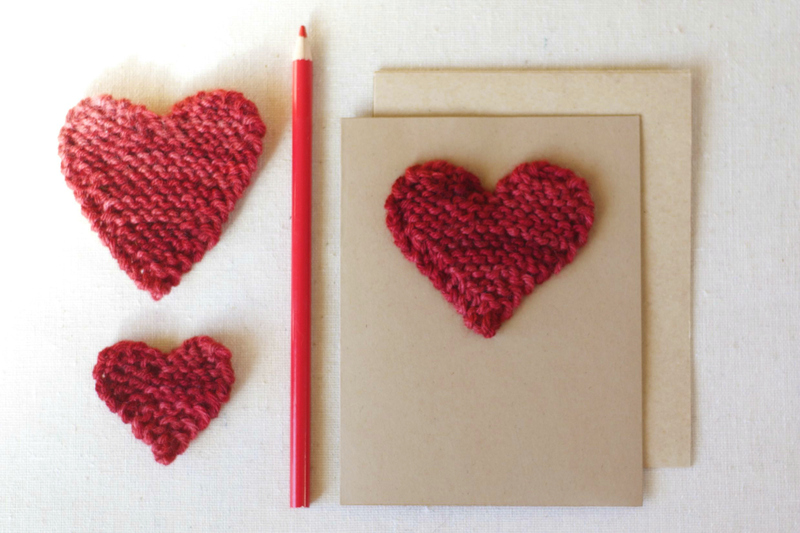 My boys and I love making handmade cards for friends and family, and nothing says I love you, like a hand~knit valentine heart. Slide all these stitches to the end of the needle and repeat the last section again. Don’t break yarn the second time. You should now have both tops of the heart on one needle. Repeat the last two rows until 2 sts remain. Darn in ends, coaxing the heart into shape. To make a larger heart, add more increase rows to each top piece. To make a taller heart, add more plain rows between each decrease row. 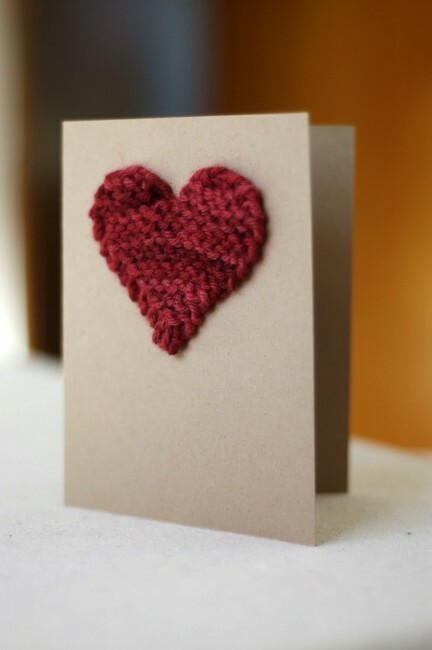 For the valentine card, I hand stitched the heart in place with a bit of embroidery thread and a very sharp needle. Elizabeth Murphy Come join me under The Sitting Tree for stories about my life as a wife to my best friend, proud mama of three unschooled boys, obsessed knitter and lover of Mother Earth. Farida hails from Seattle, Washington, USA. As she was born on the feast day of St. Alkelda, it seemed only right to name her shop “Alkelda” …Old English for “healing spring”! Alkelda: Dolls for Storytelling creates natural, beautifully embroidered wool felt figures for use in nature table displays, storytelling, and imaginative play. Here is one of her most recent treasures…Marie in the Garden! 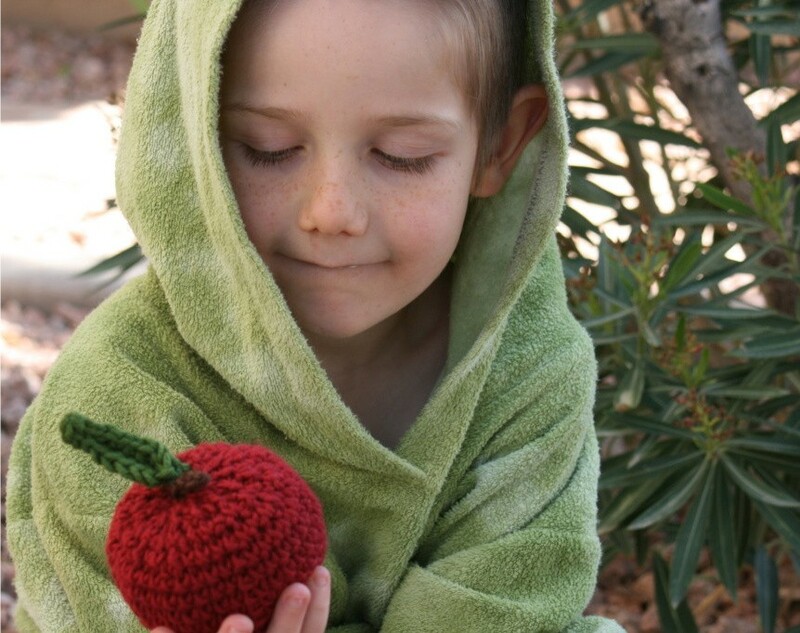 Sara creates her artisan stuffed animals and toys from Tucson, Arizona, USA. 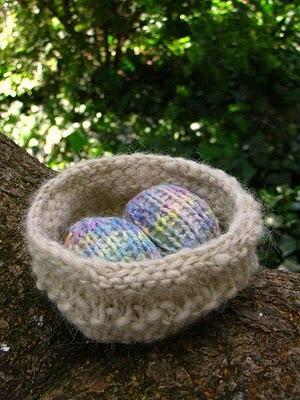 Her shop Woolies features her natural hand-knitted and cloth treasures, as well as patterns to make your own. Here is her latest… Lace Shawl Knitting Pattern. Natalie works from British Columbia, Canada. Her shop, Woolhala, features all-natural Waldorf & dollhouse dolls, doll clothe and wool felt animals. Here is her newest dollhouse doll… Rosie. From patterns to wool stuffed storytelling treasures to doll house components, these are just a few of the natural treasures you will find from our shops hailing from all over the world. Thanks for joining us this week! 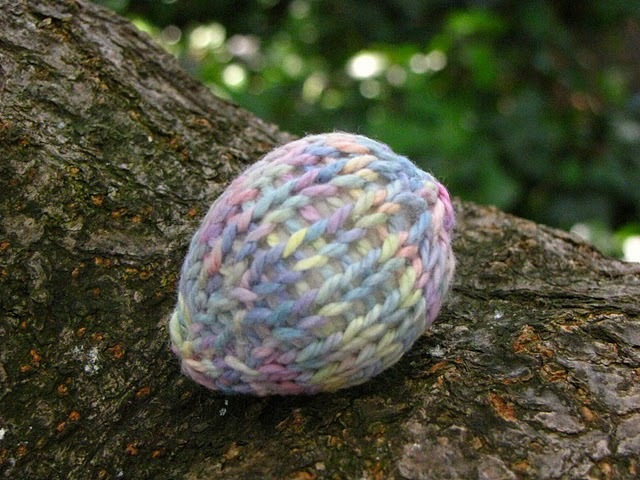 Please do return again next Monday as we continue to feature all the wonderful members of the NaturalKids team on Etsy. Until then, I invite you to browse all our wonderful shops. 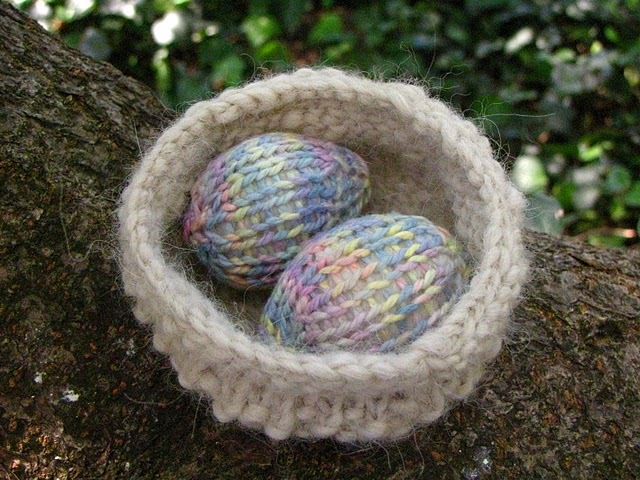 This week’s How-To is Easter Nest and Egg Tutorial by Linda, from Mamma4earth here on the Natural Kids Team. This darling little knitted tutorial is just the thing if you like to knit… and I can just imagine all the amazing colour variations if using variegated yarn. Hope you enjoy this weeks Spring and Easter craft tutorial! 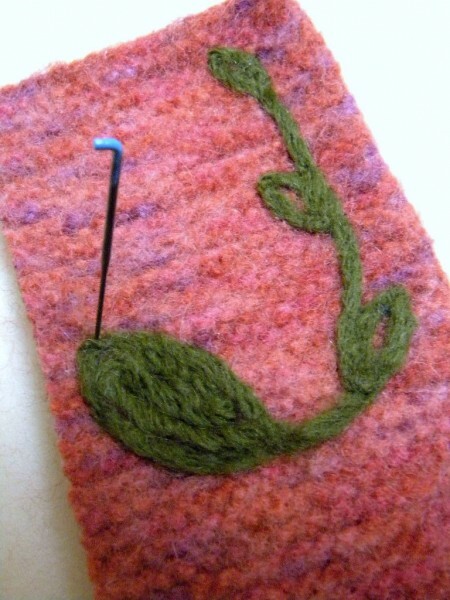 Round 7: (Knit 1 stitch, purl 1 stitch) repeat across round. Round 8: (Purl 1, knit 1) repeat across round. Round 9: (Knit 1 stitch, purl 1 stitch) repeat across round. 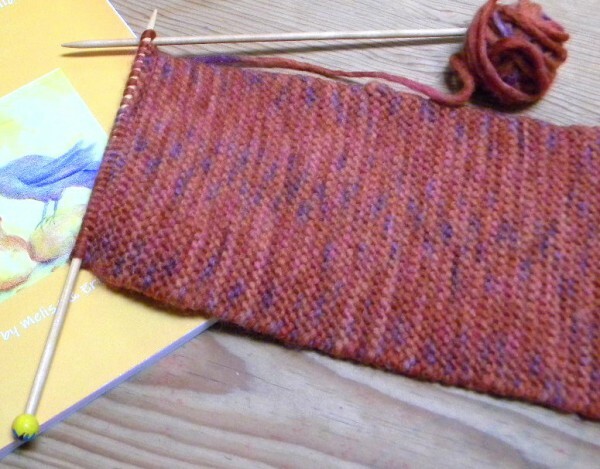 Round 10: (Purl 1, knit 1) repeat across round. Round 15: (Knit 1 stitch, purl 1 stitch) repeat across round. Round 16: (Purl 1, knit 1) repeat across round. Round 17: (Knit 1 stitch, purl 1 stitch) repeat across round. 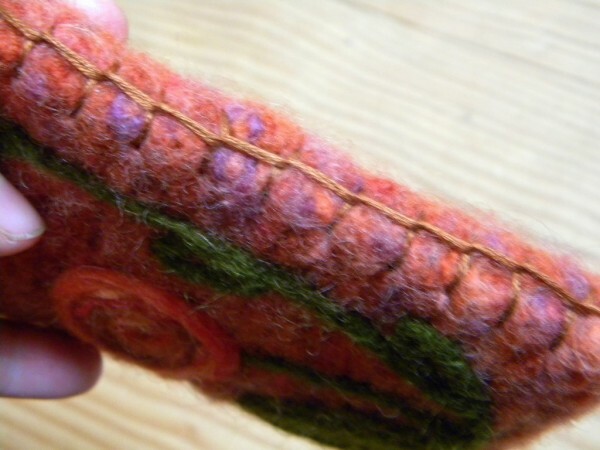 Cast on 4 stitches and join for knitting in the round. Round 14: (Knit 3 stitches, knit 2 stitches together) repeat across the round, knit 1 stitch on the end. Round 16: (Knit 1 stitch, knit 2 stitches together) repeat across the round, knit 1 stitch on the end. Round 18: (Knit 1 stitch, knit 2 stitches together) repeat across the round. 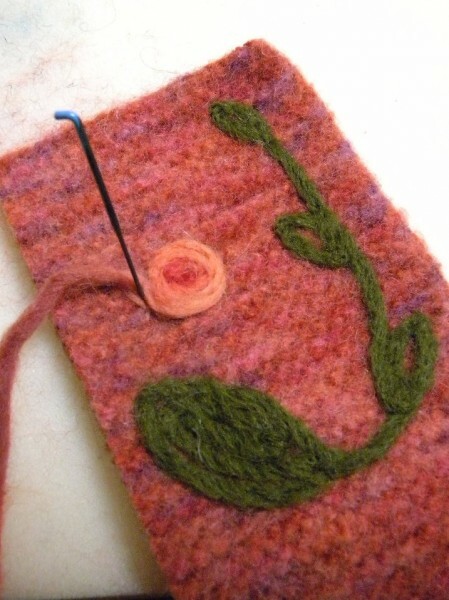 Break your thread and thread your yarn onto a wool needle and thread your stitches from your circular neeldes onto your wool needle and pull tight to close the opening. I normally fill the egg from this end and make sure the the wide base is firm and then fill the rest of the egg. 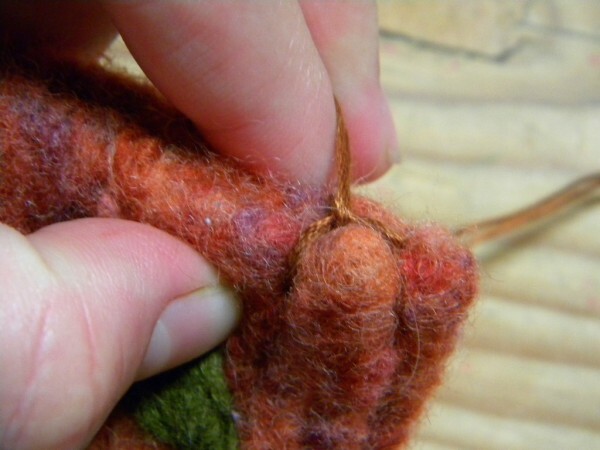 Close both ends by threading tight in a circle with your thread and pulling tightly closed. Wishing you all an inspired week. 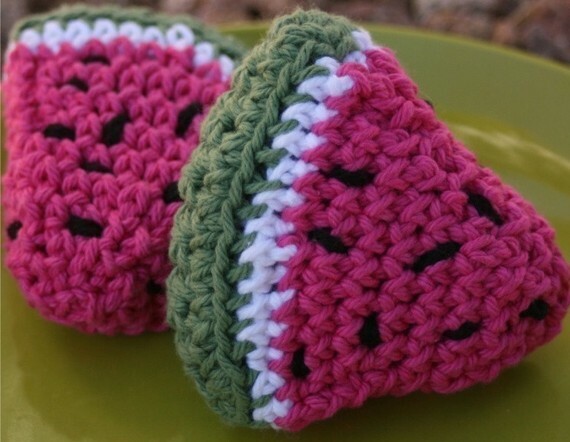 Please visit Linda at her blog Natural Suburbia where you can see the original post, find a few other wonderful free knitting tutorials, plus other craft life tutorials and more. In her own words Linda is a “homeschooling mother of four little souls from South Africa. 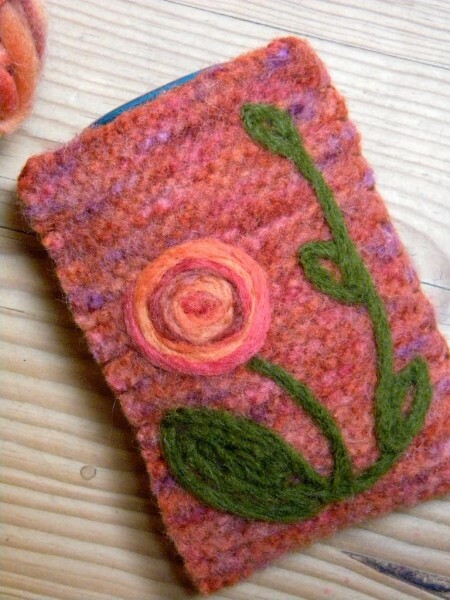 I am a knitter, pattern designer, gardener, homesteader and try to be as self sufficient as possible”. 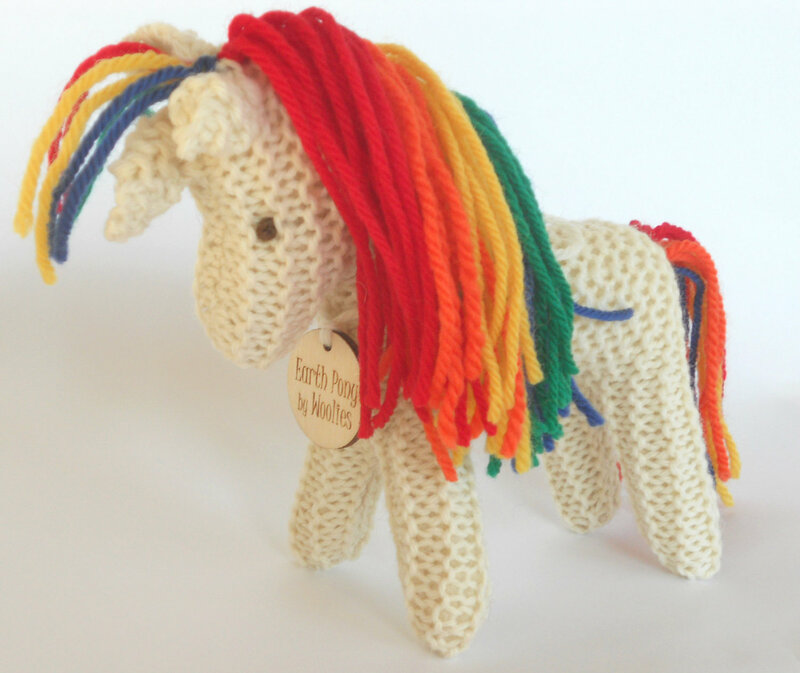 Check out her Etsy shop Mamma4earth where you find more wonderful knitted treasures consisting of Waldorf inspired knitted and wooden farm animals, gnomes and toys. This week’s How-To is Valentine Heart Knitting Pattern by Linda, from Mamma4Earth here on the Natural Kids Team. 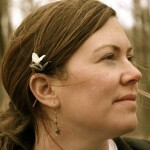 Her blog is Natural Suburbia where you will find lots of tutorials and posts. This is the last “Valentine” themed craft for a while (see the last few weeks for others) and it’s a real cutie! 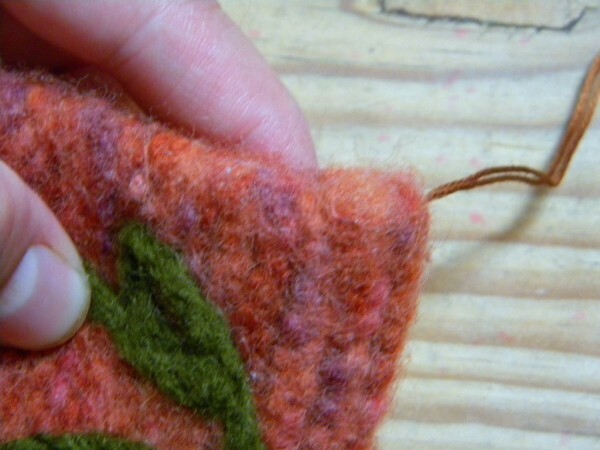 Once you have knitted two sides, sew right sides together and leave a little opening for stuffing. Turn onto the right side and stuff. Once your heart is lovely and firm, sew closed. Sew a thread at the base of your heart, push your needle up throught the inside of the heart and pull it out the top of the heart. 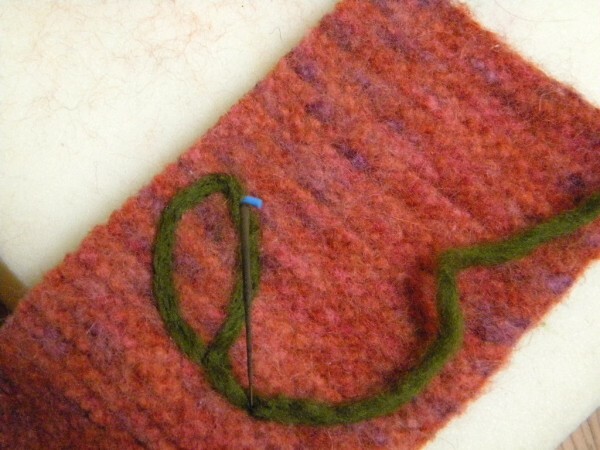 Push the needle back into the top of the heart and pull it out the base of the heart where you started sewing. Pull quite tightly so that a depression is seen on the top of the heart giving you the wonderful heart shape:) and finish off. Please note, this pattern is for personal use only, and not for resale, items knitted from this pattern may not be sold for commercial purposes, thank you. My name is Tiffany Nixon. I am originally from Chicago and moved 8 years ago to the Phoenix area. I have four boys (ages 5 to 12) and have been married for 13 years. We school at home so that we can have active busy lives otherwise. I have coached soccer for the last 4 years,and am passionate about health, nutrition, and exercise. I have lost 56 pounds and counting by focusing on an active lifestyle and raw vegan foods. What do you make and how long have you been creating? 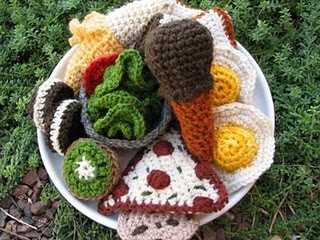 I make play foods from natural materials and some custom knit and crochet woolies for cloth diapering. I have been crocheting and knitting since I was about 5 (almost 30 years ago). I am inspired by the colors of nature and by the delicious and nutritious foods around me as well as a passion to see more natural materials and fewer toxic toys in our homes. 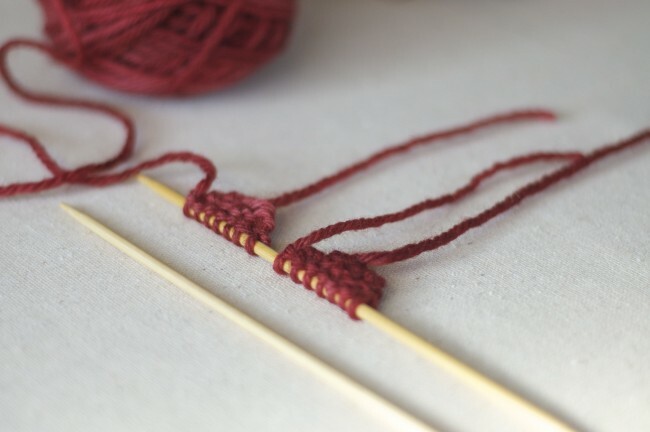 What got you started working with yarn? My friend and I loved playing with yarn during our summer breaks from grade school. 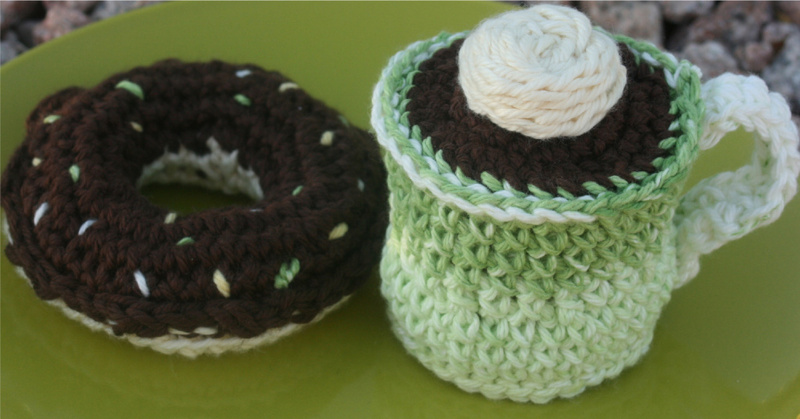 We had huge plans for a five-story-high store which would sell our crocheted goodies. At the time all we could make were chains and long uneven scarves. Of course, we didn’t anticipate the internet or any of those possibilities. How long have you been on Etsy and how has it been for you so far? I have been on Etsy since July 2006 and have been very pleased. I started out a couple years before that on hyenacart.com and sold my first 1000 or so orders there. Etsy had a learning curve for me but I have been very pleased with the broad customer base and return customers there. I love the teams on Etsy. Find one that really fits with who you are and what you sell and try to really be involved. The support from the teams is really helpful when starting out and when you need new ideas or advice. The general etsy forums gave me great ideas at first but i soon became wrapped up in the busy-ness of it all and had less time to work my business and to craft. I do think social networking is worth it but I do better with a full store and happy customers. The longer I spend with Natural Kids the more excited I am to be part of the team. I love being able to recommend other vendors with positive feedback and great business ethics to my friends and customers. The networking possibilities as a team far outweigh the individual and the support the vendors give to each other is really valuable to me. I remember reading once that some new parents were overwhelmed when promotions for products or even breastfeeding focused on giving your baby “the best.” The experts say that parents who know they can’t afford the top of the line car seat or stroller; who know they have to return to work at 6 weeks postpartum; who can’t buy 100% organic will just go for what they can do and not be as excited about “the best.” The thing is, with natural toys, there are so many great options out there and the alternatives aren’t just a little less than the best, they are toxic. It is worth investing in a few beautiful toys made with natural materials that will last for many many years. I have wooden toys that I bought 12 years ago and play foods that have gone through several children. Playsilks and organic t-shirts have become part of the costumes and the sets for movies my children have written and filmed. Natural toys tend to grow with our children since they are more open-ended. I love buying toys that allow for imaginative play. It’s Fall! It’s October! It’s pumpkin time! Dust off your knitting needles for this great little pattern by Linda. Her original post on her blog, Natural Suburbia, has plenty of pictures for step-by-step guidance and some handy suggestions for pumpkin use. Orange yarn for your pumpkin and green for your stem. I have knitted this pumpkin using the magic loop technique. With circular needles cast on 9 stitches. Round 1: Knit the first round. Round 2: Increase into every stitch in the second round, you will now have 18 stitches. Round 3: Knit 1 round. Round 4: Increase into each stitch in the 4th round, you will now have 36 stitches. Once you have closed the top opening of your pumpkin, take your needle, push down through your pumpkin, pull out on the other side and pull tight. This makes a depression on the top of your pumpkin. Sew tightly underneath. 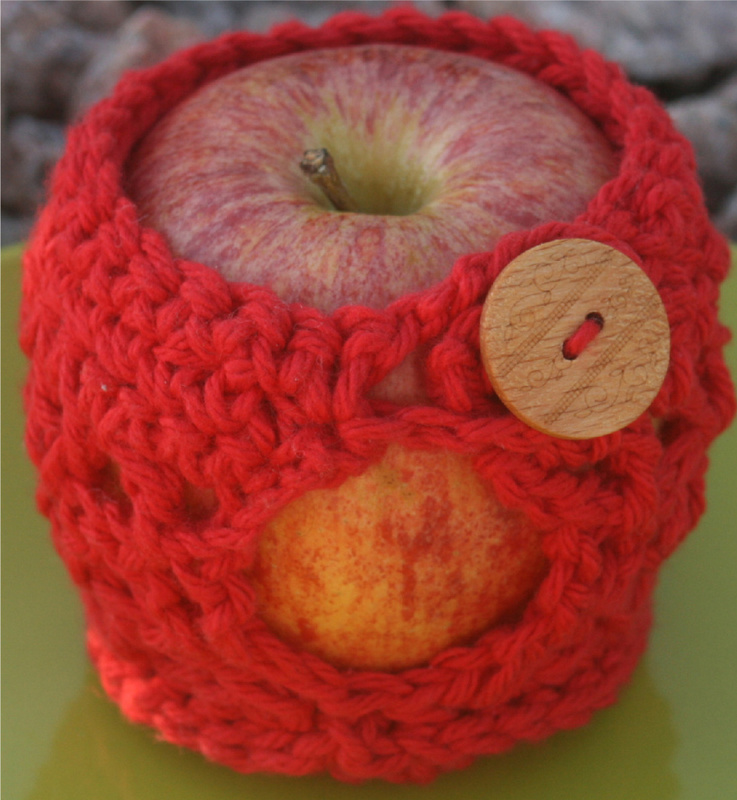 Pick up 2 stitches in the middle of the top of your pumpkin, attach your green thread and knit an I-cord for a stalk. Sew in all your ends and you are finished, enjoy!! Linda gives her four children the credit for inspiring her to create the wonderful Waldorf inspired knitted and wooden farm animals, gnomes and other toys that inhabit her Etsy shop. 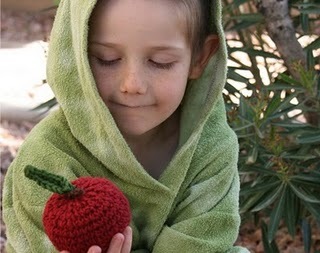 Knitting patterns for toys and finished treasures are all available from Mamma4earth. I’m an old married lady (lol), with two teenage boys. We live on a little ranch, with two horses, four dogs and two cats. Periodically, we have other animals – various rodents, goats….I really want a desert tortoise. We’re from the east coast, but now live in the wild west – southwest Arizona. I love the wildlife here, and the mountains. The heat – not so much! I work full time for an advertising agency, but have the wonderful luxury of a home office – which gives me time to lurk on etsy all day. Don’t tell anybody! 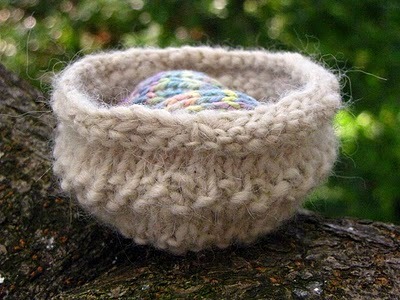 I am a knitter. My Mom taught me to knit when I was a little girl. I used to knit baby clothes, but when I opened Woolies on etsy almost three years ago, my shop evolved into stuffed animals. 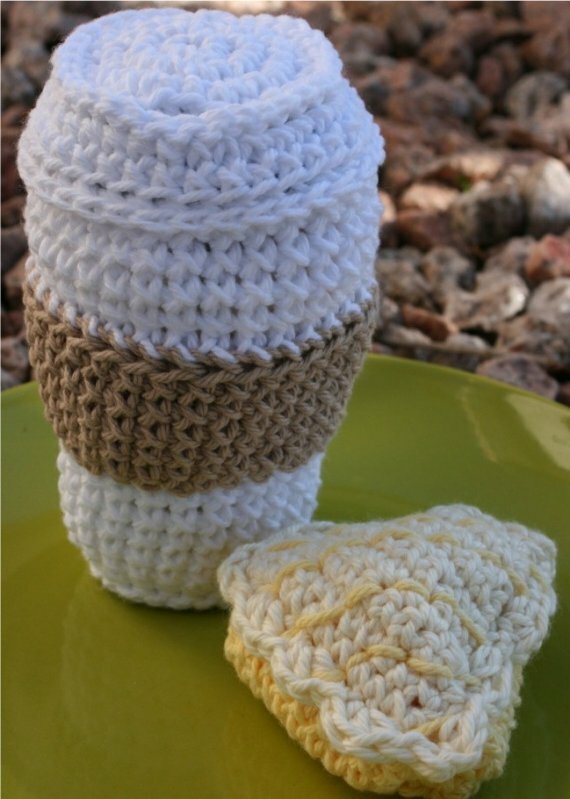 I can remember saying (a LONG time ago) to my sister in law that I was always searching for patterns for softies. Finally, I found some great ones, and have developed some of my own as well. I also sew, and make some softies at the sewing machine. Everything at Woolies is made from natural fabrics. I’m a yarn junkie, and could easily develop into a fabric junkie. And then I got into jewelry making, but that’s a whole ‘nother story. I can still remember what it felt like to be a small child and hug/hold my stuffed animals. I went everywhere with them. (I still have one, Lucky, a horse). What a comfort my animals (both stuffed and otherwise) were to me, during a difficult -and a bit lonely – childhood. I want my animals to provide the same sort of comfort and love to children. My stuffies are all very good listeners – just in case you wondered. What got you started with making knitted and soft toys? Hmmm, might have answered that one already? I am a true animal lover. And a true lover of anything soft and squishy (which includes cookies and brownies). 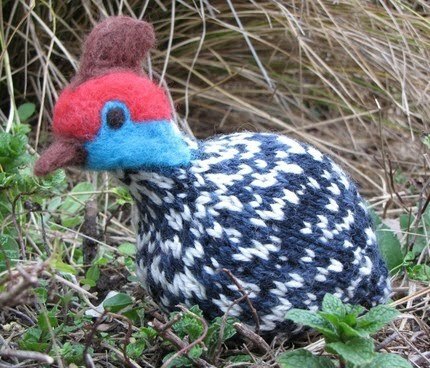 It was natural that Woolies became knitted soft toys. And I have my Mom to thank for teaching me to knit. It will be 3 years in just a couple of weeks. It has opened an entire new world for me. I love it here. If you really want your Etsy shop to be a business that provides an income, you have to treat it like a business. Selling on the internet is a vast undertaking. I do not pretend to fully understand SEO, for example, but am trying to learn. Don’t expect all your sales to come from buyers on Etsy. I recommend reaching out across the world – via advertising – to reach your target audience. If I could tell shop owners just one thing – treat your customers like you would want to be treated. Excellent customer service is the best thing you can do to grow your business. It wasn’t that long after I started to sell on Etsy that I discovered the Natural Kids Team – and it was like meeting your new best friends without even expecting it. Like minded women (mostly), making incredible, wonderful, items for kids. From natural materials. Ecstasy. Now that we have our website up and running beautifully, I just want to continue to grow with the team. I was leader for about a year and a half, and I’m very happy to relinquish that role! Children’s imaginations are incredible things. I love to see a child come alive, with a natural toy in their hands. I think a big set of natural blocks is one of the greatest toys a child can have – let them imagine a city or a fort or a tunnel. One day I’ll write a book – Plastic is the death of the human race. (lol). Also several toy stores and online stores.